Read more about Ecwid in Help Center. All store setup and information on your customers and orders are done from Ecwid control panel located at https://my.ecwid.com/cp/CP.html Once you sign up with us, you will receive the access to this panel. Read more about Starter Site. 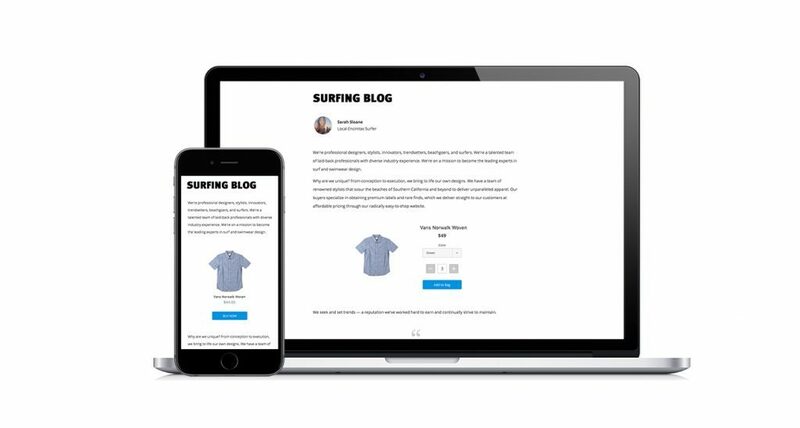 Find more details here: Add Ecwid to your site. Online marketplaces are websites aggregating product information from wide variety of sellers, millions of users search for and compare products to purchase online. 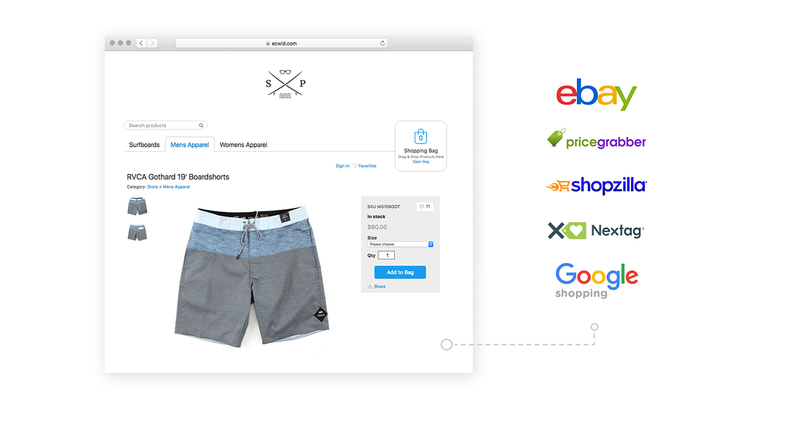 Ecwid is integrated with 7 the most popular marketplaces: eBay US and eBay Russia, Google Shopping, PriceGrabber, Nextag, Shopzilla, Yandex.Market. Read more about selling on Marketplaces. 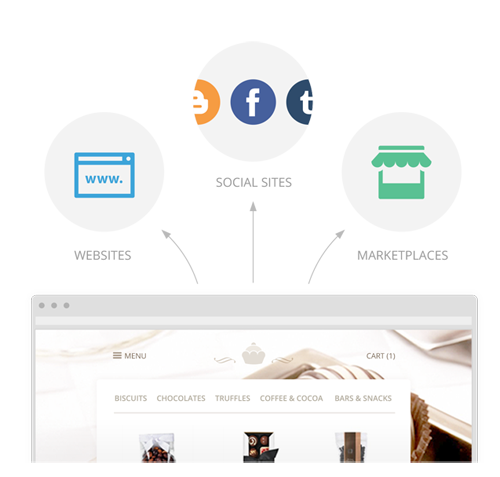 Ecwid’s Buy Now button is essentially a site plugin that allows your customers to purchase your products with just one click. They don’t even have to leave your site, and they won’t be directed elsewhere to complete their checkout. If you have a brick-and-mortar storefront or sell offline at markets and conventions, you need a reliable way to unify your inventory and keep everything synchronized. You wouldn’t want to sell your last item in-store only to have a customer buy it online minutes later. Situations like that can lead to complaints, returns, and added stress for everyone. 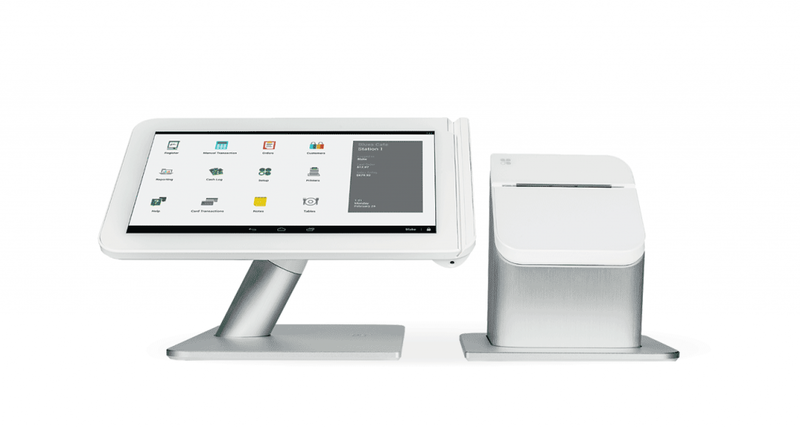 Read more about Square and Vend. 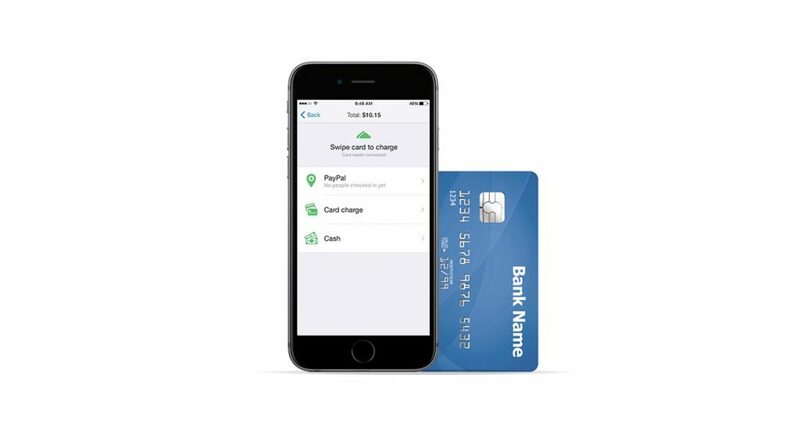 Read more about PayPal Here and iZettle. 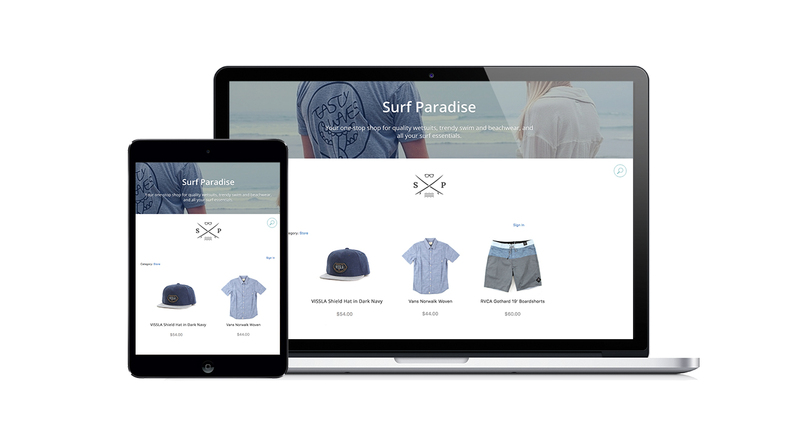 Do you want to start executing sales from your mobile device? 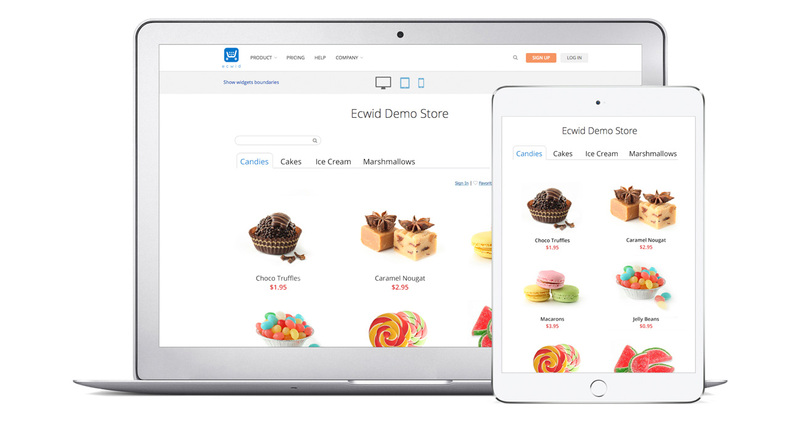 You need only install an app with point-of-sale functionality, like the Ecwid app. Not only can you manage orders and edit product details from wherever you have connectivity, but your phone becomes a mobile POS. 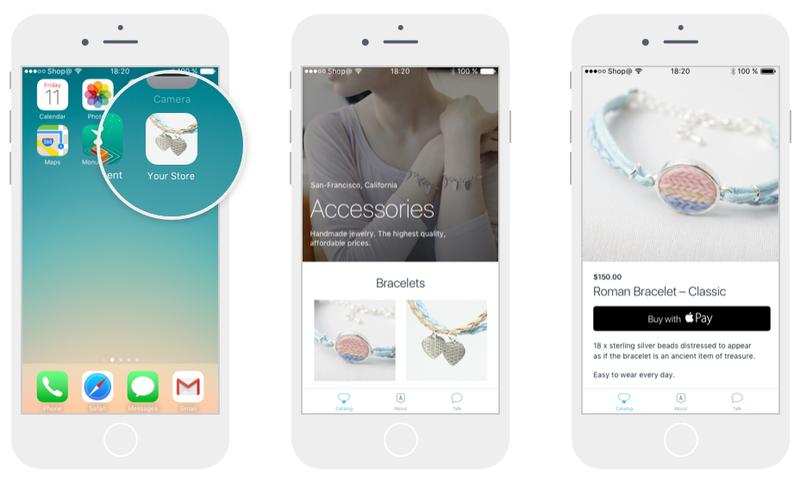 Get push notifications when you make a sale online! Download Ecwid app from iTunes or Google Play. For more information on customizing Ecwid elements, visit our CSS FAQ. Not familiar with CSS? Get the basics on the W3School site or contact our design team for assistance. Ecwid offers many resources to help you become a successful Ecwid merchant. Start by visiting our Help Center, where you search extensive information to resolve your question or issue. Besides the Ecwid blog, you can use the Ecwid forums to learn with other merchants and better understand what you need to do to set up your business and make your first sale. If you don’t find an answer, create a new thread on our forums and our support team will assist you. If you're not able to find what you're looking for in the Ecwid Help Center, you can reach out to the Ecwid Support team at any time. Go to this page and get in touch. 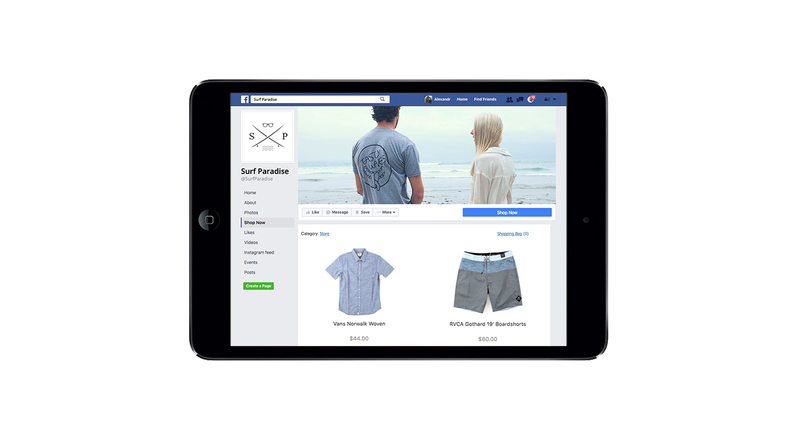 If you did not find a feature you were looking for or you need help with the design for your store, ask Ecwid expert to assist. Also, we will be glad to develop a feature or help you with the design for a one-time fee. For annual Unlimited plan — 12 hours of custom development is included. Subscribe to our blog’s updates to get the latest news about Ecwid.